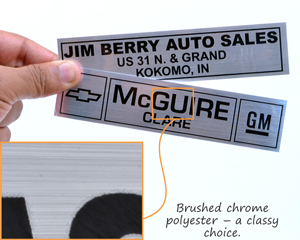 Car dealer stickers provide 24/7 advertising. 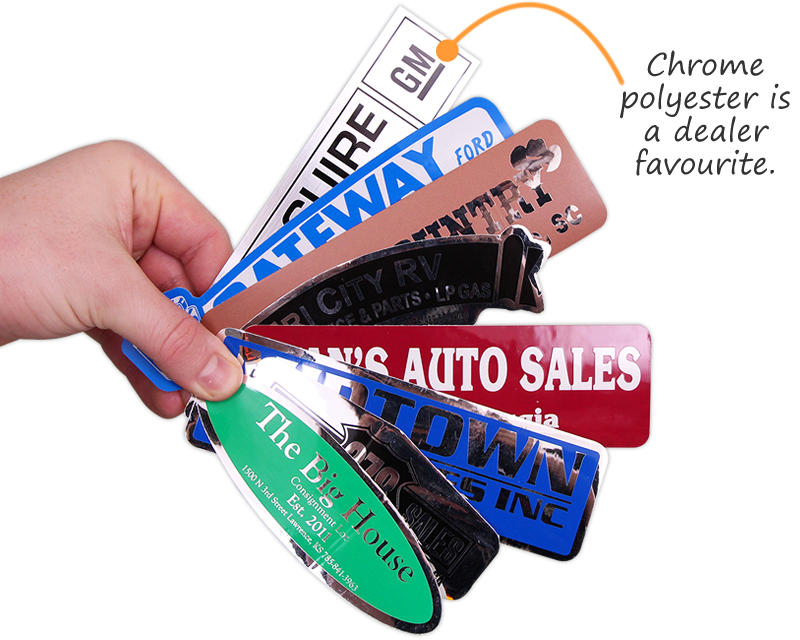 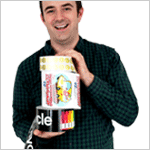 Gorgeous, screen printed labels are a great way to bring back repeat business and to show off your brand. 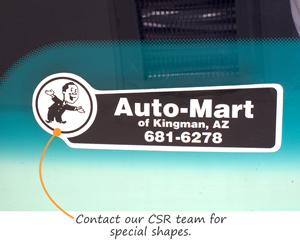 Use for cars, boats, and RVs. 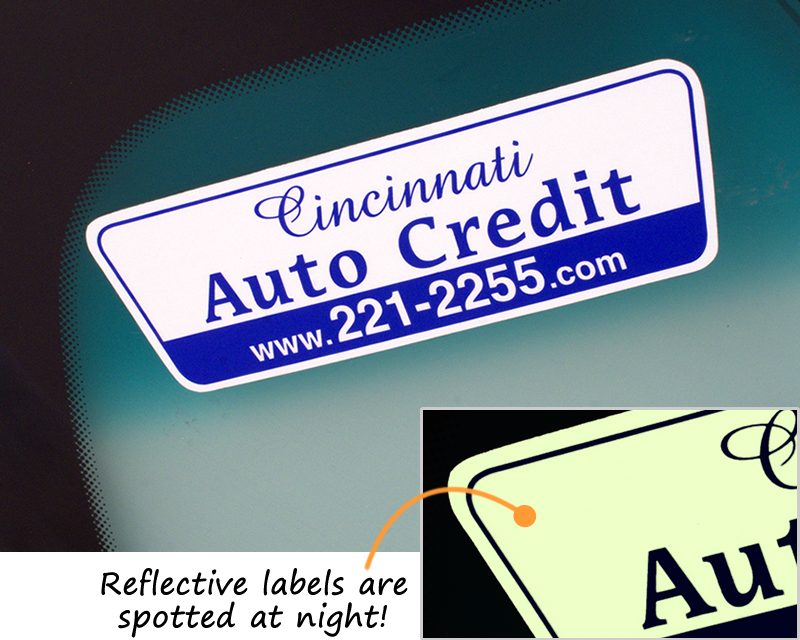 • Popular materials include mirrored chrome, brushed chrome, clear polyester, and reflective decals, which shine brilliantly and enhance visibility at night for a great safety feature. • Labels last over 5 years outdoors. 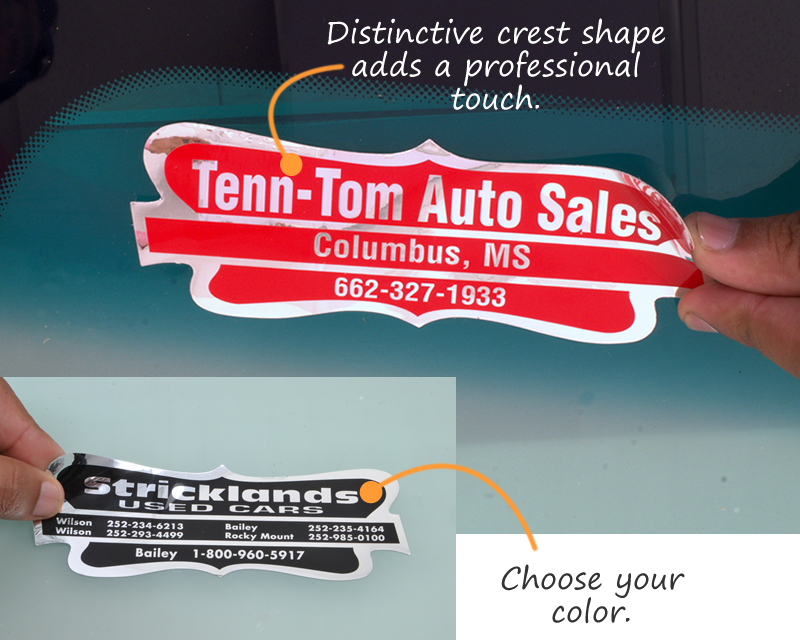 All materials use a permanent acrylic adhesive. 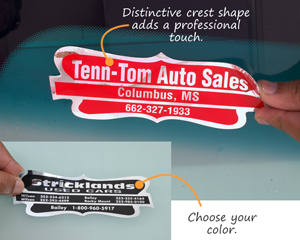 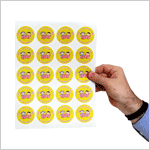 • Add a logo to any sticker shape, at no extra charge. You can upload your art once you've viewed your instant quote. 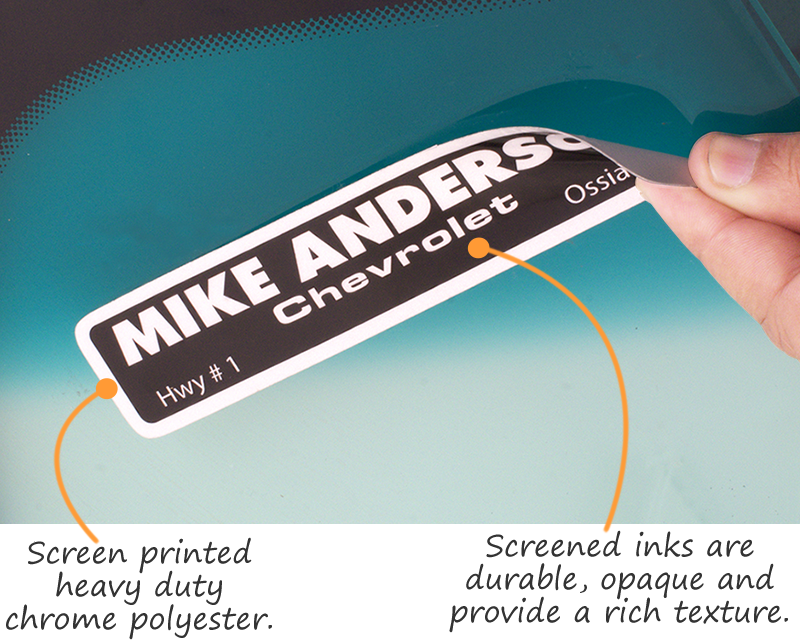 • We can turn any sketch or low quality artwork into polished, print ready artwork at no extra charge. 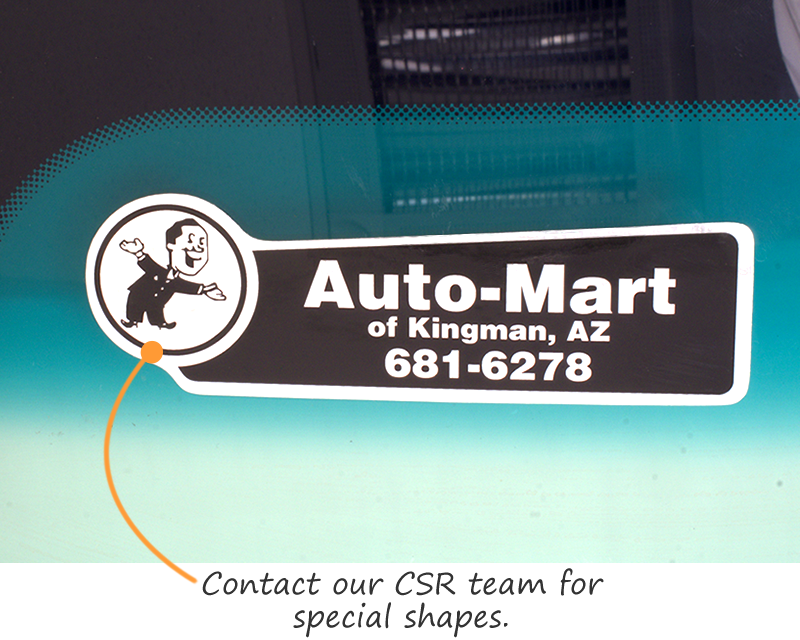 Please contact our CSR team if you need help with your design.